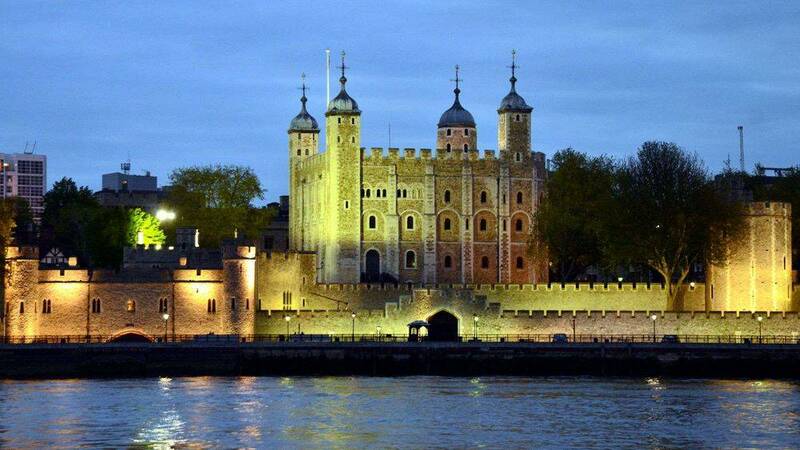 The Tower of London is one of the most important historic pieces in the British capital. Founded by William the Conqueror in 1066, the fortress was a centerpiece in the control of the city and thus of the whole of England. It was later rebuilt in stone (it was originally made of wood), then undergoes two improvement campaigns before it is no longer modified (or almost), which explains why the story bequeathed it to us. The rest of this document details his story. The Tower of London was built by William the Conqueror, Duke of Normandy (1027-1087). It was at the age of eight that he took this title, at the death of his father. He took advantage of the crisis of succession in England to cross the sleeve and to win the famous battle of Hastings (October 14, 1066), which opens the doors of England to him. He conquered all the cities of the South in turn before capitulating London, the main city and seat of the Saxon power. He then embarked on the construction of a large number of castles throughout England, and took care of that of London, which was supposed to be sufficiently impressive to provoke fear among the inhabitants. He chose to build it on the southeast corner of the ancient Roman fortifications, walls now unsuited to the defense of the city. Its position north of the Thames, on the edge, allowed it to have a better defense while controlling the river traffic. From this castle, history retains that it was a dungeon, the first built in England, entirely in wood as they were at the time. His appearance would have been impressive indeed. It was surrounded by a ditch and a wooden fence to protect it, a palisade running along the north and east sides, the south being protected by the river and the west by the ancient Roman wall. At the time this dungeon was the largest in London, but it was not the only one. Two other castles were built: the castle of Montfichet and that of Baynard. Throughout the period from the victory of Hasting to the death of William of Conqueror, all England was covered with fortresses. The medievalists indicate that this period was the most prolific in defensive constructions throughout feudal Europe, dungeons appeared everywhere, castles were built. The king entrusted most of these fortresses to a relative, Geoffroy de Mandeville, a member of a family in the town of Manneville (currently a commune of Seine-Maritime). This charge being hereditary, his heirs will benefit from this important control over the fortresses of England, which will make them extremely powerful. 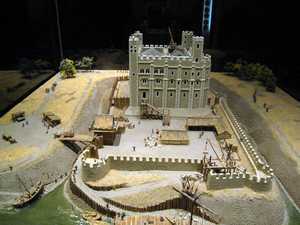 Model of the Tower of London as it was in the eleventh century. William the Conqueror was proclaimed King of England on 14 October 1066 and crowned on 25 December of that same year. At his death in 1087 he bequeathed to his eldest son his kingdom and to his second the duchy of Normandy, the third succeeding the first a few years later. But it was also during the reign of William the Conqueror that the first renovation of the keep was undertaken: its reconstruction in stone. It was indeed at the end of the eleventh century that the original castles were rebuilt in stone (most of them), the construction techniques having progressed sufficiently to be used. On the death of the king the dungeon, begun in 1078, was still unfinished. On the death of William the Conqueror it was his son William II called "Le Roux" who took his succession (1087-1100). His reign will be marked by the struggle which will oppose him to his brother the Duke of Normandy. He will manage to reunite the duchy under his control but he will die too soon to enjoy his new power. As far as the Tower of London is concerned, its reign is marked by the end of the construction of the stone keep, which then took the name of white tower, in reference to the clarity of the stones used. As a result, the stone castle was much more defensive than it had been previously. Much stronger, it also benefited from wooden protections on the surrounding grounds, on the north and east sides. These protections were razed and replaced by stone walls which extended the Roman wall, still in place. The successor of William II was his younger brother Henry I (1100-1135). He extended his power but did not specially special actions around the Tower of London. The organization of powers was rectified over the years. Thus the Constable was the person in charge of the maintenance of the fortified place, charged to keep it in a state of combat. This burden went hand in hand with that of control of the city itself, especially that of the payment of taxes, which explains why the one who held power over the fortress had enormous power. This power was partially won by the post of Lord Mayor of London, created in 1191, which will cause clashes between the incumbent and the Constable of London. The constable of William the Conqueror was Geoffrey de Mandeville. At his death in 1100 this burden incumbent on his son, since the charge was hereditary, William 1st. The latter lost part of his power by letting the first prisoner escape from the Tower of London, but at his death in 1116 his son was able to recover the title of constable from London. 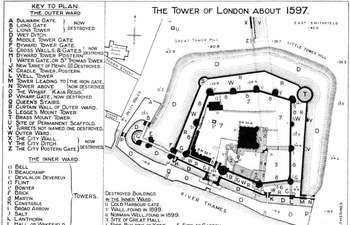 During this period the tower of London underwent no modification, it was always a dungeon, the white tower, protected by a stone wall and the Thames. The white tower was wide and tall, containing the king's apartments as well as the purely military rooms. This immobility will change with the rise to the throne of this king. It was during the reign of Richard Coeur-de-Lion that the first wave of modifications of the Tower of London began. It was initiated by William Longchamp, a close relation of the king who had the task of managing England during the king's absence, which happened during the 3rd Crusade (1189-1192). An immense task, of course, and that one may call a regency. He spent part of the royal treasury to finance the modernization of the many fortresses in England, beginning with the Tower of London, a centerpiece in the country. He dug a moat around the enclosure wall and improved the defense system as a whole. Being also constable of the tower (the family of Mandeville had become extinct in the meantime), it was besieged by John of England the brother of Richard Lionheart, eager to take the power in the absence of the king. 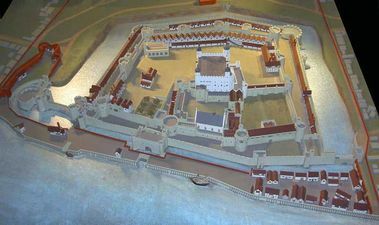 It was the first siege of the Tower of London, and it was a failure not because of the possible defenses of the defensive system but for political reasons, William Longchamp preferring to go after only three days. The capture of the Tower of London is corroborative to that of the city of London, the main city and seat of power. 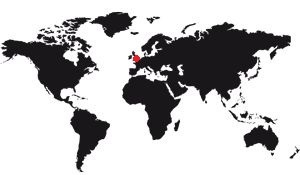 It is also true of England as a whole. John the Landless, as it is called today, ascends the throne. He remained there until 1216 after a series of revolts of the barons who did not accept his power. During this period of war the Tower of London under under the power of Robert Fitzwalter, leader of the rebels. In 1216 the son of John took power (Henry III, 1216-1272), followed by Edward 1st (1272-1307). It was during this period that the Tower of London was the most modified. At the beginning of the thirteenth century a dispute existed between King Henry III and his barons. The King therefore did important work on the Tower of London to increase the defenses and improve the living environment. They lasted several decades until the reign of Edward I. They consisted in the construction of a stronger rampart. It extended on the 3 sides unprotected by the Thames, to the West, to the North and to the East. Several defensive towers were constructed along this rampart, and a circular pathway made a tour of it. As a result, the fortress passed beyond the old Roman border, and extended over the fields further east. Henry III also built ditches all around this enclosure. The Tower of London was not, at that time, only a military fortress, it was also the place of residence of the king. But the latter had many places to live, so he was not permanently physically present at the tower. There he organized twice a parliamentary session bringing together the barons, at the moment when they were agitated. Their powers were important and without their support, the king could not do much. In 1258, Henry III was compelled, on their demands, to abandon the control of the Tower of London, which he admitted. However, in 1261 he returned and took advantage of his position of strength to regain control of his country with the help of external forces. During this episode the Tower of London underwent its third seat, which it won. Under Edward I (1272-1307) the Tower of London again received modifications, the last of its history (at least for the most important ones). He began by filling the moat dug by his predecessor and had a second rampart built, before the existing rampart. Heavier, more massive, it formed a double-fortification meant to be impregnable. The entrance was also improved, with the construction of drawbridges, a barbican, and control towers of the passage much more massive than before. New ditches were also dug, two watermills constructed and one well dug. It is also from this time that dates Beauchamp tower, intended to replace the old guardhouse destroyed soon after its construction, under the regn of Henry III. These modifications are found today in the building as we know it. We see there the double fortification and the moat, the barbican, the door of the traitors, & c. This is proof that the Tower of London has evolved little, architecturally speaking, since the beginning of the fourteenth century. Among the buildings that have been destroyed since that time, let us mention the main elements of the royal palace. When Edward I modified the tower of London, he set about creating a real palace, that is, a place of life for the royal family which goes well beyond the old fortress, if one speaks of comfort . He therefore created a main building, which was a large, richly decorated room that communicated with the Lanthorn Tower on one side and the Wakefield Tower on the other, via a small hall. The tower of St. Thomas, which also dates from that time, was a part of this palace. All these buildings used by the royal family had painted interior walls. They all had a fireplace and a lot of furniture. Nowadays, when one visits these towers, one can see reconstructions of the interior of that period: canopy beds, chests, tables, etc. The shutters are painted with a royal symbol, lions of England. Below is a model of the Tower of London dating from the end of the sixteenth century, as well as a plan of a guide dating from the end of the XIXth giving the plan in 1597. 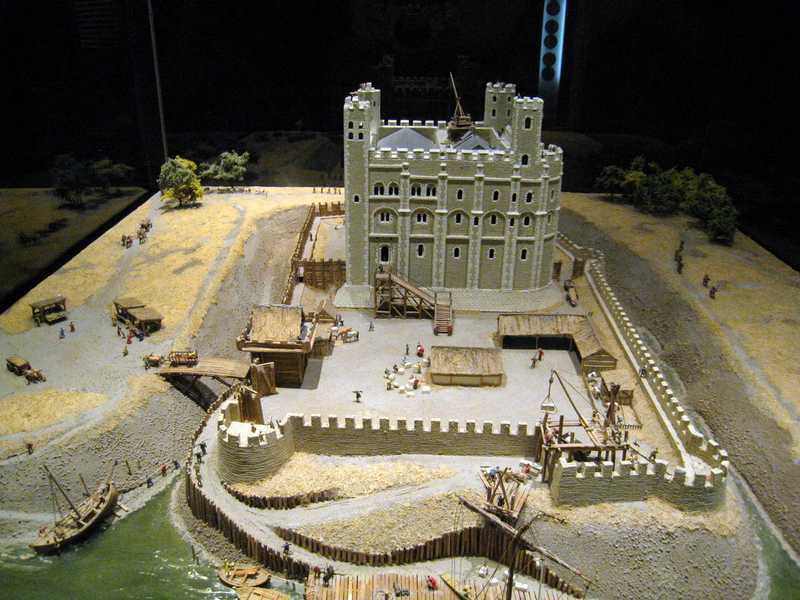 Model of the Tower of London as it was in the 16th century (museum of tapestry, Bayeux, France). 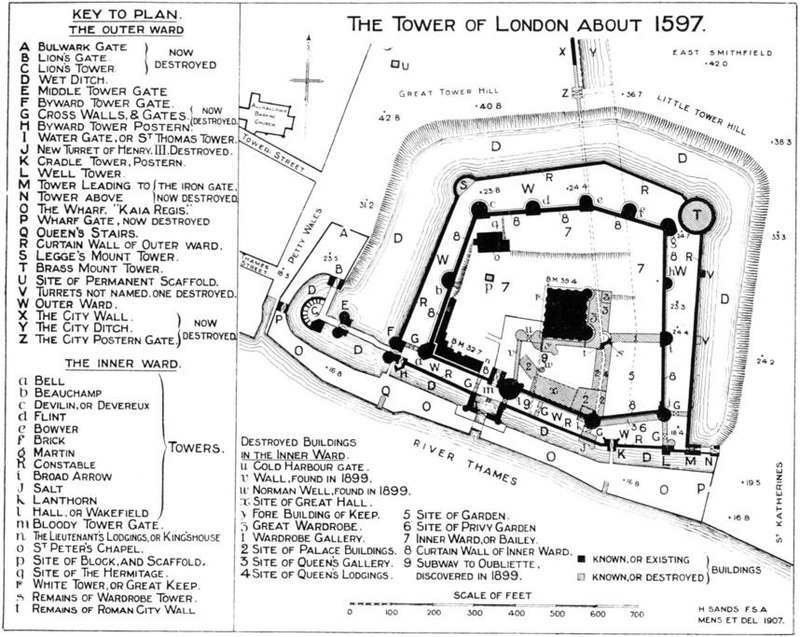 Plan of the Tower of London as it was in the 16th century. Looking at these plans closely is surprised by the profusion of buildings that were around the white tower. South and East side of the buildings are next to the dungeon. The wall of the former enclosure existed with the Coldharbour gate to control the entrance to the inner courtyard which was closed on the east side by a gallery, the Queen's gallery, as well as by various royal buildings. The buildings adjacent to the south dungeon were the wardrobe gallery, and those on the east side were the wardrobe buildings proper. These buildings contained the objects belonging to the king, as well as the costumes, but also the treasure, the usual objects, & c. This wardrobe was the most important starting point for the management of the royal domain, when the country was organized as a nation. The Tower of London will remain many years as well, with a restricted inner courtyard that will be destroyed at the same time as the Coldharbour Gate. The main event of the reign of Edward II (1307-1327) in relation to the Tower of London is the creation of the "Privy Wardrobe". It is an institution in charge of the military organization of England. His seat was at the Tower of London. Under Edward III (1327-1377) the castle had become rather uncomfortable. The King had some work done to improve the life on the spot, but it was not about major infrastructure works, just minor improvements. The Tower of London underwent its fourth siege in 1381, under its successor Richard II. It was a peasant revolt of importance, an episode in the history of England, an episode that saw the revolt of the peasant class taking up arms and marching on London. Now, at that time, the English army is essentially in France (We are in the middle of a 100-year war) or in the north of the country, so the capital is very poorly protected. Richard II protects himself at the Tower of London, but the peasants manage to penetrate there and kill the Lord Chancellor and the Lord Treasurer. Many members of the royal authority were killed in London, and the king himself was obliged to take a number of decisions in favor of the abandonment of serfdom. This negotiation takes place, of course, in the main room of the white tower. A second revolt took place six years later. It forced Richard II to spend Christmas in the safety of the Tower of London rather than in the comfort of his Windsor Castle. Subsequently, its role as a refuge was used on numerous occasions. In fact, as soon as a king, even an important personality was threatened, it was to the tower of London that he took refuge. Renowned as impregnable, this fortress still had an effective defensive system, although aging. 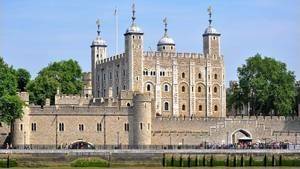 The two roles of prison and refuge were those that identified the Tower of London, between the 15th and 17th century. Between 1455 and 1485 the war of the two-roses took place in England. It is a civil war between two branches of the royal family from King Edward III who both claimed the throne. On one side was the Duke of Lancaster, and on the other the Duke of York. The war ended with the military defeat of the House of York. The Duke of Lancaster, a Tudor then took power in England and founded the Tudor dynasty. This episode had a consequence on the Tower of London since it was under the control of Lancaster's forces and had to undergo a fifth siege by the York troops in 1460. The tower followed the capture of Henry VI, an ephemeral king who will be killed in the Wakefield tower some time later. In 1483 King Edward IV died, but his eldest son, Edward V, was too young to reign. It was the brother of Edward IV. Who had himself proclaimed himself king under the name of Richard III. The two children disappeared mysteriously in the summer of 1483, and everything leads us to believe that they were assassinated under the orders of Richard III. This sinister episode appears to be a real fact because during works made in 1674 on the guardhouse they found their bones, hidden behind the masonry. This disappearance took place in the bloody tower. It was at the beginning of the 15th century that the Tower of London began to no longer be used as a royal residence. His function as a stronghold became more important, it became essentially a garrison corps and a reserve of weapons, but quickly lost its capacity of reception of the king. The buildings were degraded and in 1532 Thomas Cromwell had to undertake major repairs. He focused on the defensive part of the tower, renovating the military structures and neglecting everything connected with comfort. Kings and queens hardly came to the Tower of London, only when they were obliged, for example, symbolically. In the 17th century the Tower of London became essentially a center of imprisonment. A special prison was built in the northeastern part of the tower in 1687, it was the first of the fortress because until now prisoners were held in cells on the ground floor of the different towers. So there were no specific places for them. According to legend, you can see Anne Boleyn, executed for treason to King Henry VIII, walk around the Tower with her head under her arm. The role of the Tower of London in torture has largely been overvalued. In reality, very few cases of torture have been recorded, the bad reputation of this place comes from the clergy who, belatedly, denigrated the Tower of London as a place of torture to better emphasize the Christian values. Another element to be taken into account when speaking of the Tower of London during the sixteenth and seventeenth centuries is the development of artillery. Artillery is a military tool that appears at this time, or at least that develops consistently. The progress in this matter is quite fabulous, and the army possessing the most effective cannons succeeds without difficulty in gaining fortified places once renowned. To face these dangers the monarchs of the great countries had to adapt their fortresses. Now the technical progress of artillery was more rapid than the modifications of the fortresses, much more cumbersome and costly to make. The Tower of London did not escape the rule, and it was also the object of the modifications of Cromwell in 1532 to render this citadel resistant to artillery fire. But the transformations had to be much superior to what they should have been, and the tower always had points of weakness with regard to this new weapon. 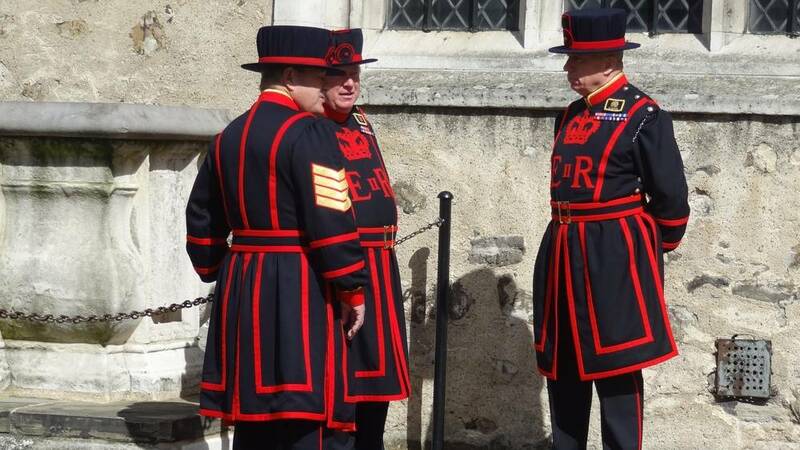 The Yeoman Warder are the guardians of the Tower of London. 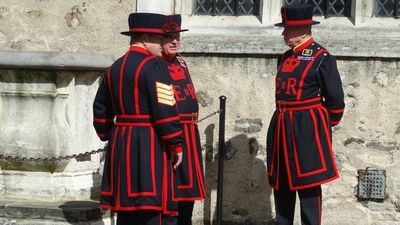 Also known as "Beefeaters," they are attested as early as 1509. Their nickname comes from the fact that as the guardians of the most important tower in England, they had to be in shape , and therefore well fed. Hence the possibility for them to eat more meat than the rest of the population. But it could also be because they were the guardians of the ravens of the tower, and in this case, the meat eaters were the crows, not the guards! The Yeomen still exist today, it is even they who welcome the visitors to the tower. They are seen moving from room to room, accompanying a group of tourists. They also take care of the famous ravens of the Tower of London, as well as the key ceremony that takes place every evening. The presence of a permanent army in England dates from 1661, before it existed only in time of war. In time of peace the soldiers were returned to their families, but the weapons, the powder (when it began to be used), and the war supplies had to be kept in a secure place, in peacetime. And what better than the Tower of London for that? In the tower of London there are the vestiges of a tower named tower of the wardrobe. Initially it was there that was preserved the clothes of the kings, their personal effects, including their weapons. By extension everything that belonged to the king and was to be preserved was designated by the term "wardrobe," and an institution, the "Privy wardrobe", was set up, which was in charge of the management of the king's property. This institution, together with the "chamber", formed the two parts of the English medieval government. Of course the "privy wardrobe" evolved with time. Originally in charge of the management of the king's personal property, he became his deputy head. This institution had its seat in the wardrobe tower, at least since 1454. In the sixteenth century it moved its seat inside the courtyard of the white tower, which at the time was restricted to the part South of this tower. There were indeed a few buildings which formed a sort of inner rampart forming an even smaller courtyard. In 1640 the king engaged militia for the surveillance of the tower, the "Trainbands". Their task was to defend the arsenal because the king, Charles I, had opposed the parliament and the population threatened him. Charles I had the Tower of London modified by creating artillery platforms on the heights, on the roofs, and by installing various cannon. In 1642 the king tried to arrest 5 members of parliament, but faced with the rumbling of the population he had to flee. The Trainsbands rejoined the people, and the king decided to liberate the tower of London, which then passed under the direction of the parliament. From the middle of the seventeenth century the living quarters of the Tower of London were severely degraded. Traditionally kings, before being crowned, spent their last nights in the Tower of London, but the last to respect this tradition could not sleep there. It was Charles II. Under the Stuart expenses were made to restore the Tower of London. They built a new arsenal, then new buildings for the garrison, but in spite of that the fortress remained a painful place to live, it was more a stronghold than the palace that it had been in the past. In the eighteenth century, attempts were made to improve the defenses of the tower, but the work stretched out in length and was not very effective. The number of guns had fallen, and there was little chance that the tower would support a siege for a very long time. In 1774 a curtain was built between the quays and the outer rampart. Then came the problem of the moat. Since their excavations the moat was flooded, they served as additional natural ramparts. In 1841 the garrison underwent an important epidemic, the cause of which was the consumption of water spoiled by the stench of the moat. It must be said that for centuries the mud had accumulated and made the approaches to the tower not conducive to flanery. It was therefore decided, between 1843 and 1845, to dry them, to remove the mud and replace it with earth. This work was entrusted to Arthur Wellesley who chased them inside by building the Waterloo Barracks in 1845 and quarters for the officers, nowadays it is the headquarters of the fusilliers. In the eighteenth century, the buildings that were located south of the Tower of London were demolished in the inner courtyard. These old royal dwellings had become too old and uncomfortable to be preserved, and their preservation was not considered useful. They were demolished, but the Wakefield Tower and the Lanthorn Tower were preserved, the only buildings that reached us as they were. Then came the episode of Chartism. It was a popular protest movement in the mid-nineteenth century, born of an electoral reform that provided for censal suffrage, that is to say that the right to vote was granted only to those who paid the census, a tax. So the popular classes were excluded from the vote, which provoked this movement of anger. Faced with the risk of insurrection of the works at the Tower of London were ordered to improve the efficiency of the guns. These are the latest military modifications made on the Tower of London to this day. In 1669 there was an important event, which has repercussions until today: The transfer of jewels from the crown to the Tower of London. These jewels, masterpieces of goldsmithing, were from that date in one of the towers of the castle before they were transferred to the jewel rooms, in the Waterloo barracks. Learn more about the Jewels of the crown. 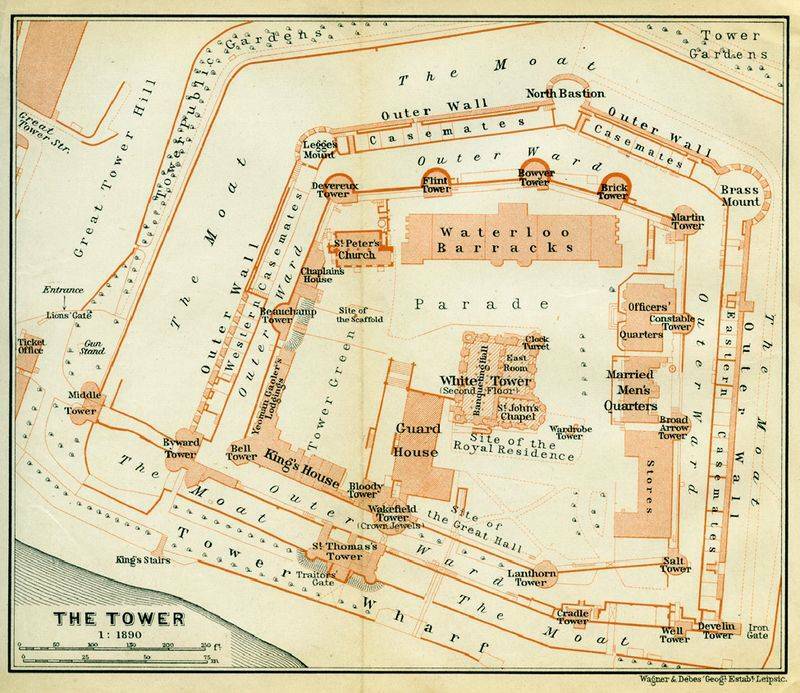 Tourist map to visit the Tower of London, 1890. London's fortress, the tower had everything to play an important role during the two world wars, but the absence of German troops on British soil did not make the fortress indispensable to victory. In fact it did not serve at all, militarily speaking. During the First World War the tower served as a court for the trial of 8 persons accused of espionage. The trial took place behind closed doors and they were sentenced to death. They were shot. A purely military milestone, a bomb fell in the moat, but it did not do any particular damage. During the Second World War the tower served as a prison, as often in its history. The last prisoner of state of the tower was Rudolf Hess who stayed here for 4 days in 1941. When the last executed, it is the German spy Josef Jakobs shot on August 14, 1941. On September 23, 1940, London underwent the worst destruction of its history, it was called the Blitz. During the night the German planes bombed the capital without interruption. Of course the tower suffered a lot of damage, but nothing was irreparable since once the war was over we rebuilt the impacted towers and it resumed its appearance before the war. During the 20th century, the Tower of London saw its military role diminished, while the interest of the public for its ancient heritage increased. It is therefore quite natural that the last military organizations left these places to join headquarters more adapted to the constraints of the modern army while the tower is gradually being given to tourists. It was therefore transformed to allow a better reception to visitors until arriving at what it is today.